The day has finally come. 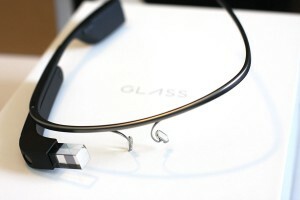 I received my invite to join the Explorers program, and purchased the technogadget I’ve been drooling over for the last 6 months: Google Glass. Upon finishing the transaction, I was given the choice to go to New York, LA, or San Francisco to pick it up.. OR to just have it shipped. Although originally I was planning on spending a night in NYC to pick them up, I decided that I couldn’t wait another week and just had them shipped. Amazingly, I had my glass 8 hours later. Unboxing was a very fun experience… packaging seemed like it was straight out of Apple’s book (unboxing video coming soon). Glass took some getting used to. I think I have a head start in getting acclimated, because I just got prescription lens glasses about 6 months ago. Getting used to wearing regular glasses took me almost a week. Adding Google Glass to sit on top of my glasses only took a few hours to feel natural. 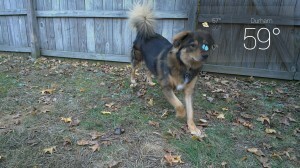 I’m very excited to get prescription lenses for Glass. Swiping over to see a reminder of a local college football game today was very cool. Earlier in the day I searched for directions on my iPhone’s Google Maps app. I didn’t end up taking the trip, but I noticed a few hours later the directions were showing up as a “card” on Glass, all ready to go with the touch of a button. Talking my phone through taking a picture, writing a caption, and then sharing it on Facebook all with both hands free. All in all, I’m very impressed. This weekend I plan on diving into some Glass Development. Stay tuned! 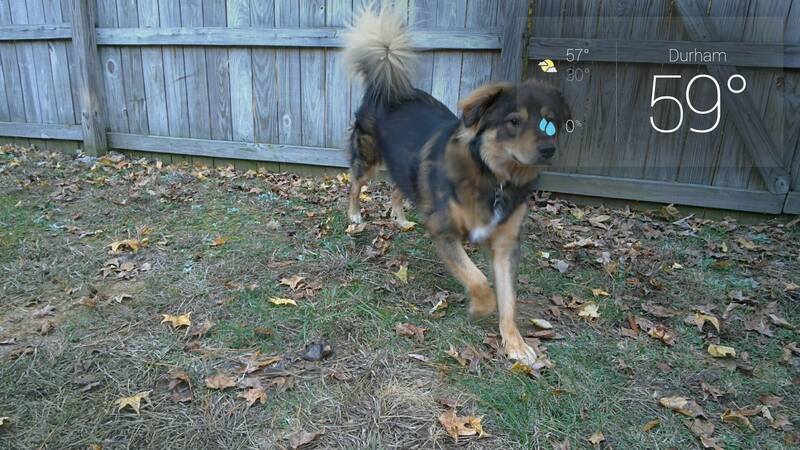 This entry was posted in Google Glass and tagged Google Glass on November 9, 2013 by David. Free Google Glass Invites – Who wants one? 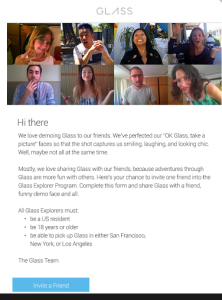 Google is throwing out “invite your friends” emails to current Glass owners. This is similar to the process used to roll out gmail 7 or 8 years ago. So I’ve got one invite sitting here…. what should I do with it? This entry was posted in Google, Google Glass on July 31, 2013 by David.